If you love a beauty fix, you’ll love these ideas that are so simple you can do them in your sleep – or at least as part of your wind-down bedtime beauty routine! Wake up to a fresher, more youthful, you with these 7 natural ways to get the most from your beauty sleep. Resting your sleepy head on a 100% silk pillowcase is not only an extremely decadent way to drift off, it has overnight benefits for your skin and hair too. Unlike cotton, which is thought to draw moisture away from the skin (including your lovely night cream! ), a silk pillow leaves the skin hydrated and smooth – who wouldn’t want wake up with fewer wrinkles? Not only that, it protects hair from friction, frizz and those annoying kinks. Need to sleep on it? No, just get one! Tea tree and lavender essential oils have powerful natural antiseptic properties and are miracle workers on spots and pimples. Dab directly onto cleansed skin using a cotton bud as part of your bedtime beauty routine and you’ll start to blitz those pesky blemishes and breakouts by morning. If you have dandruff and dream of waking up with flake-free locks, mix two drops of tea tree and two drops of lavender in 10ml (2tsp) of base oil and give yourself a scalp massage. Wash out before you go to bed. Make it an evening bedtime beauty routine to treat your nails and cuticles to an intensive moisturising treatment. 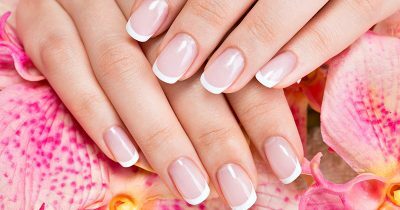 Massaging oils such as avocado, extra virgin olive oil or neem oil into the base of the nails around the cuticles will help prevent hangnails, flaking and encourage stronger nail growth. Use a small amount nightly and let it fully absorb before heading to bed. The thousands of nerve endings in your feet are going to thank you for a soak and a massage at the end of a tiring day and give you a spring in your step for tomorrow. Take the weight off by soaking your feet in a bowl of warm water (add a few drops of sleep-inducing essential oils such as lavender or Roman chamomile), then use a handful of coarse sea salt to scrub away any dead skin. Next, use extra virgin olive oil to stroke and knead the feet. Use your thumbs to make relaxing circular movements on the soles of the feet and heels. Pat off any excess oil and be careful not to slip as you turn in for the night. Giving yourself a relaxing facial massage with nourishing oils before bed can become part of your usual beauty routine, or you can save it for those evenings when you want a bit of extra pampering. Massage helps to boost circulation for a fresh, healthy glow and also stimulates the lymph system, helping to reduce any puffiness. By morning your skin will feel so much softer, smoother and more youthful. From helping us achieve everything from velvety-soft skin to luscious locks, coconut oil is a brilliantly versatile beauty buy with countless uses. Some of our favourite ways to use it overnight as part of your beauty routine include a lip treatment – just slick it on (while it’s solid) to soothe and hydrate parched lips as you sleep. Or, you can use it as a deep conditioning treatment on very dry or frizzy hair. Simply melt some in your hands and massage into the hair. Cover with a towel and let it work its magic overnight. Wash as usual the next day and enjoy super-nourished tresses you won’t be able to stop running your hands through! Finally, if you stumbled into bed late dreaming of REM rather than natural remedies, here’s a final quick fix for the morning. Move over black and brown mascara. Blue mascara enlivens every eye colour, makes the whites sparkle and no one will ever know you didn’t get your full 8 hours. We like Dr Hauschka Defining Mascara 03 in Blue, which has nourishing ingredients such as eyebright and beeswax to soothe and protect delicate lashes. Many aromatherapy essential oils are contraindicated for use during pregnancy and for those with certain health conditions, such as high blood pressure and epilepsy so always check with a qualified practitioner if you have a pre-existing medical condition. If you have a nut allergy, avoid using nut-based oils. 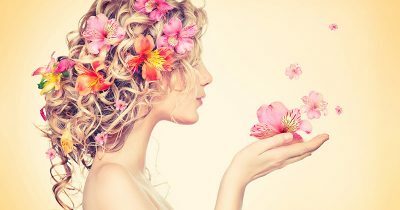 Aromatherapy Diploma Course to £79. Natural Nail Care – Nailed!